They called her a witch. She ate children, not sparing even the good ones. Those were her favourite since they were the sweetest. Any child who went into her flat was never seen coming out. 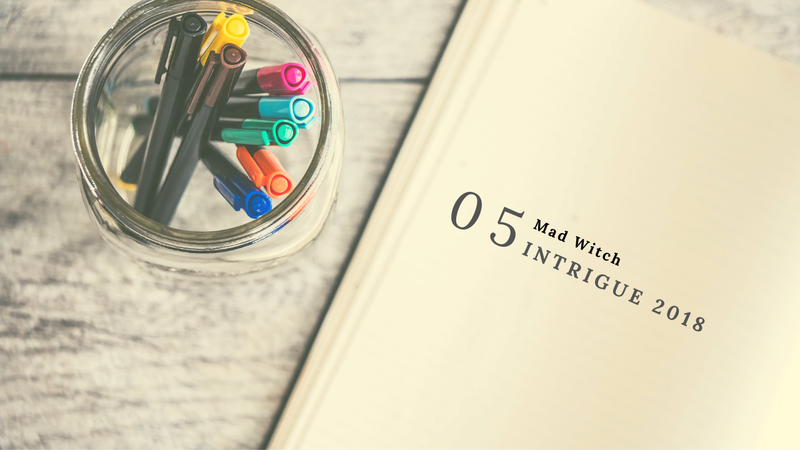 When asked where was that cute little girl, the witch would just shrug while smacking her lips. “Not only that, she’s also gila, not right in the head,” concluded Raihan, sitting on the stairs leading to the fourth floor. “Come on, lah, where got witches nowadays?” Bilal folded his arms in stubborn defiance. They sealed it with a fist bump, both grinning wide. Anyone could tell instantly where the witch’s home was. Evil-beings didn’t have time for interior design, too busy scheming their evil deeds. So the dirtiest unit was likely hers. The one with the piles of damp cardboard boxes, disarrayed potted plants and other unknown junk scattered outside. The one that had its door slightly ajar as if beckoning all children to go inside. The inside which was ominously dark on a bright sunny afternoon. Bilal swallowed hard. This was too much like a horror game he had once played. If he pushed the door further back, there was highly likely a jumpscare. He nearly screamed when Raihan elbowed him in the ribs. “Go in already,” urged him roughly. That chicken curry didn’t seem too tasty now. Maybe he should back out. Crap, no backing out now. The entire school was watching him. He didn’t miss the mocking chicken noises either. Bilal looked around. When entering a horror game, you were always equipped with a weapon. He found a badminton racquet amongst the pile of newspapers. Raihan gave him a face. But it was better than nothing. “You think she cut children with them?” Raihan whispered. Bilal shone at the table. None of its stains looked like blood. The rumours did say she was always tinkering with something. In the nights, neighbours often hear a bizarre hissing, small popping explosions, a cat meowing and then a baby crying. The last part had made the neighbours called the police. But no baby was found, save for a headless doll. “Wait, bro, are - are those bones?” Raihan gripped his arm. He pointed to a stool. A plastic food container laid open on it. Several tiny bones were in it. A huge one in particular was sticking out from it. Did human bones look like that? Children’s bones were quite small. Bilal had to be sure. Trembling, he shone his light to it. “I’m outta here!” Raihan shoved him hard to the floor. And Bilal couldn’t get up in time. Fear made him too slow to rush after his friend. The metallic toilet door was already swinging open, groaning like a monster hungry for young intruders. If he didn’t hide now, he was going to be eaten raw. Find a place, quick, quick, now. His thoughts in a panic. His eyes fell on a big cupboard opposite the working table. Hopefully, she didn’t stash children meat in there. Immediately, he rushed inside, ready to smack aside any gruesome pieces with his racquet. But the cupboard was bare. He stayed still. “I’m coming, my precious little one.” The witch cackled, shuffling closer. There was a tiny wail from her bedroom. “Yes, yes, coming.” She hurried towards it. Bilal gasped, covering his mouth in time. A baby was inside the room. It was going to be eaten by that foul creature. He shouldn’t be hiding here. He gripped his racquet tighter. He must save the baby. He didn’t care if he killed the terrifying hag. It should be self-defense. Besides, they didn't sentence twelve-year-olds to the rope, right? He yelled with a ferocity when she came out with the baby. “Oh, we have a guest?” croaked the witch, a wrinkled hand held up before him. A real witch, Bilal confirmed. After all, she had stopped him with a petrified spell. He struggled hard to wield his only weapon but it remained high in the air. “Did you want to play?” She asked, pointing behind him. Bilal followed her gaze. His racquet was caught on the wall hook. Its strings refused to budge no matter how much he pulled. The witch was finding this funny, cackling away. Yup, definitely, a dead boy now. She shuffled towards the table. There was no baby in her arms. Instead a brightly lit laptop was carefully placed on it. He heard the crying again but there were other other voices too. Bilal drew closer warily. He dared a peek of her laptop. Several small windows were opened to excited young faces talking and laughing at the same time. Soon more windows popped up, quickly filling up the entire screen. Most of them were his age. Some were accompanied by their parents. A small giggle shifted his gaze to a toddler held by a mother. This was a livestream. These children weren’t afraid of her. They were waiting for her. “What’s going on?” asked Bilal. “Welcome to the magic of the Mad Witch.” She announced. And everyone onscreen clapped and cheered while Bilal sat stunned. She was a witch who conjured up sorcery only children could see. She played with their imagination. She was a storyteller, weaving a fairy tale to her live viewers. She spun her tale with her resounding voice. She gestured the story’s emotions with her bony fingers, her wiry hands and her crooked body. And when she slipped them into her crude puppets, the story exploded into powerful scenes in their minds. The mad witch didn’t spare anyone. Some were stubborn at first but eventually moved to tears to her story. She didn’t spare the good ones either. Everyone bellowed, yelled and laughed with the protagonist. Every child was listening and engaging. Even Bilal screamed when the Monster puppet nearly killed the Hero puppet. But the ending was a happy one, letting him breathe easy and grinning wide. “That's all for this week, good children. It's time to say goodbye.” She bowed slightly, ending her powerful performance before a virtual standing ovation. When every child eventually left, the mad witch gently closed her laptop. With a slight grunt, she pushed off from her stool. Slowly, she opened the windows, bringing a gentle breeze and the warm sun. “I didn’t want to disturb the neighbours while I performed.” She explained. In the brightness, there was no villain in large dark robes that lurked snakes and poisons. To Bilal, the witch looked vulnerable, her head cocooned in a pale long scarf. She hobbled towards him, dressed simply in her loose kebaya top and sarong. This was an ordinary elderly woman, just like his own Nenek, small, wrinkled and always with a toothless gaping smile. “Masha’Allah, a fairy tale always takes a lot out of me.” She panted, carefully settling back to her stool. “What - who are you?” he asked. “It’s OK. I love it when they call me that. It makes my imagination go wild!” Her hands waved high above her. “Is that you, Granny?” He asked. Her gesture had brought him to the photos on the wall. Faded sepia proudly reminisced a young woman and her adventures. Each memory never spared her of children. Everyone wanted to hold her hands. Some were making faces at her. Others were pulling on the puppets in her hands. And she was always laughing with them. Bilal’s stomach growled at the nostalgia. Bilal froze. Oh no, could it be the police? Raihan must’ve thought he was being eaten alive. He hurried to lock the door. No, please, she wasn’t a witch. It was all a misunderstanding. She was just a simple Granny with stories to share to the world. He had stayed through the night. Soon enough, her flat was tidy, no more complains from her neighbours. So of course he won the dare with Raihan. He shared his delicious winnings with Granny Mahira. And as vengeance for bailing on him, he had brought his friend to meet the fearsome witch. And with Raihan’s big mouth, their entire school now gathered weekly on her livestreams. Granny Mahira created magic with her stories and her puppets. She didn’t end her beautiful stories until everyone had cried, laughed and rejoiced with her. That was the real magic of the Mad Witch.